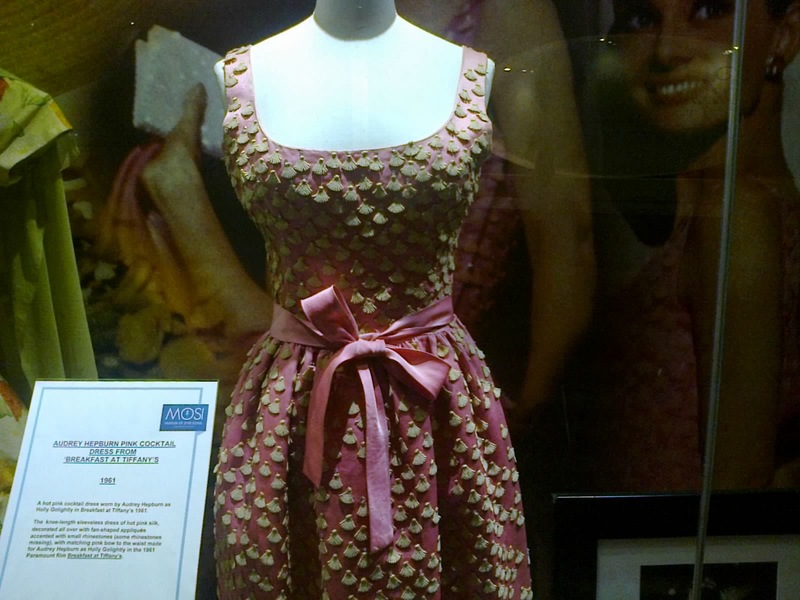 Recently we visited the Museum of Style, part of the Newbridge Silverware visitors centre. Newbridge Silverware is famous for its heirloom cutlery. In recent years the brand reinvented itself as a jewellry maker and more. I have a serious love for their Christmas decorations. As part of their gorgeous visitors centre in Newbridge, a town in Co. Kildare they have a Museum of Style. Free to enter it is always filled with the most amazing clothes from either Hollywood past and celebrities. 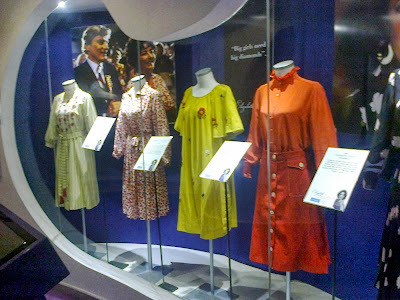 Most recently it had a Elizabeth Taylor exhibition, this is a sneak peek at the 1970s more casual outifts which for some reason were my favourite of them all. This is one of Grace Kelly's costumes which had the smallest waist I think I have even seen on a woman's dress! Seriously tiny. She must have been so petite. I love love this pink dress from Breakfast at Tiffany's. 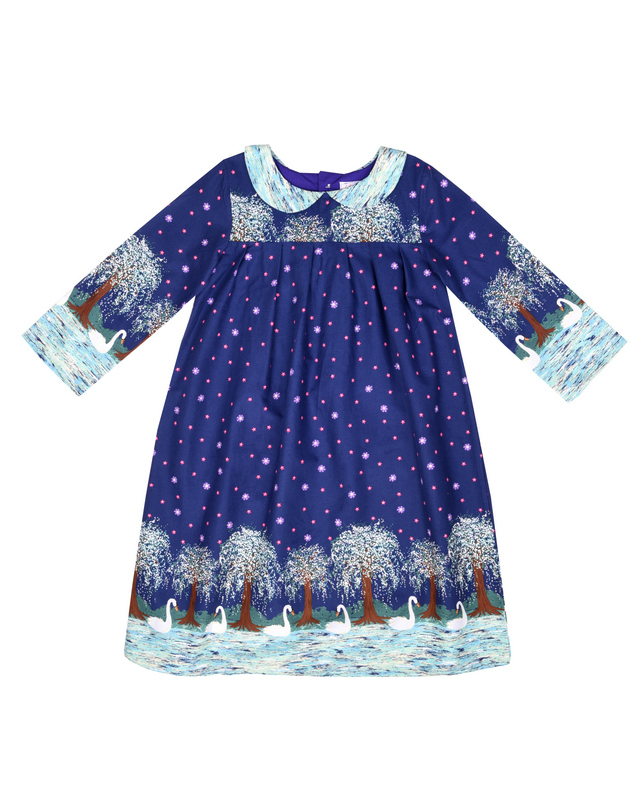 When I think of the movie I think of the little black dress but now I'm all about this dress. 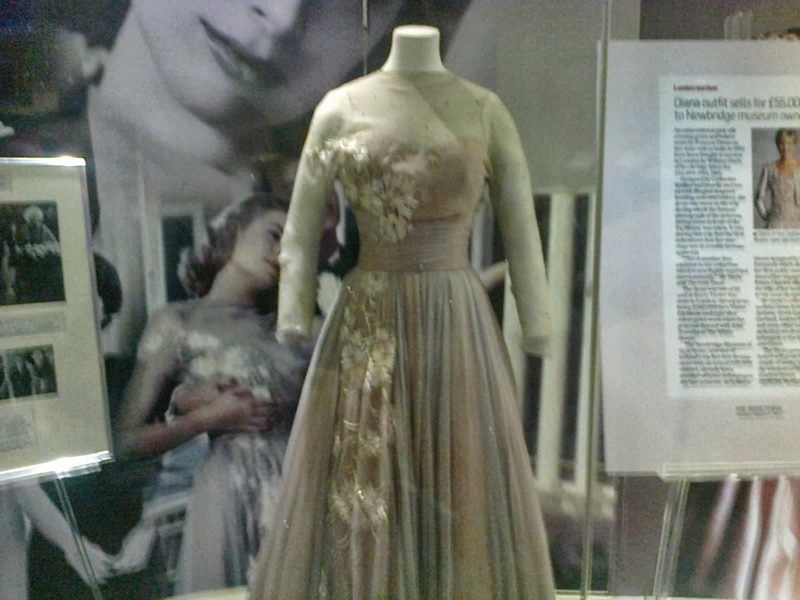 They have a number of Audrey Hepburn's gorgeous clothes, from movies and from her personal life. Now they have a Lord of the Rings sign outside so I'll have to go back to investigate! My two oldest (but still small) each bought a little something in the shop while we were there and I have to say the woman at the till treated them as though they were spending a fortune, customer service to be proud of. 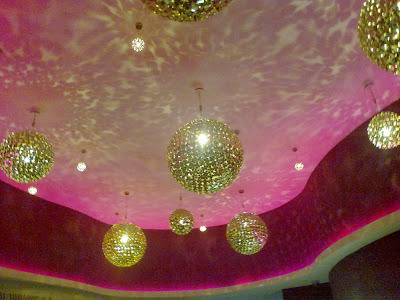 Must not forget the ceiling that changes colour and the super sparkly lights. I had to tell the children not to lie on the floor, they had settled in quite comfortably for the light show!!! I love all those dresses, I think I like the colourful ones in the first photo best too. And that ceiling! I think I shall have one installed in my flat, it would be marvellous! Ha ha, I will admit I didn't even notice it until the kids pointed it out, I just thought the lighting was really strange ! Totally is, well worth a visit! This looks like a wonderful day out. Thanks for sharing you pics.